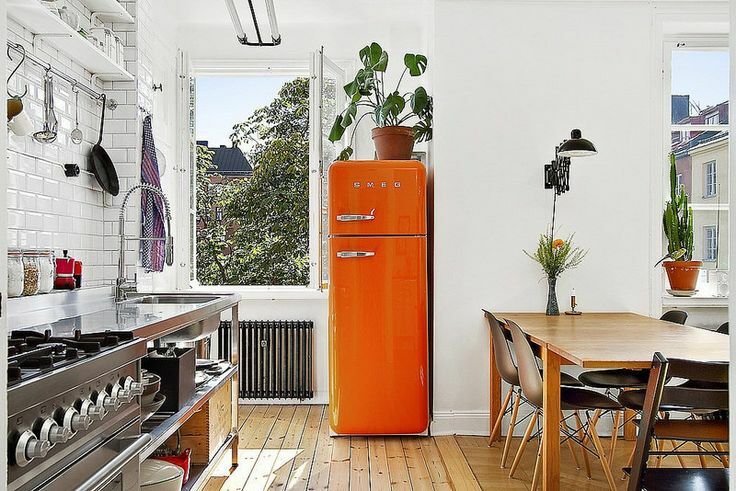 Gah - that orange Smeg! Also love the tiles! via elsa billgren.